When Jean Pierre and Yael first proposed “MAIZ”, an exhibition about corn, the most obvious size format for these tapestries was small. 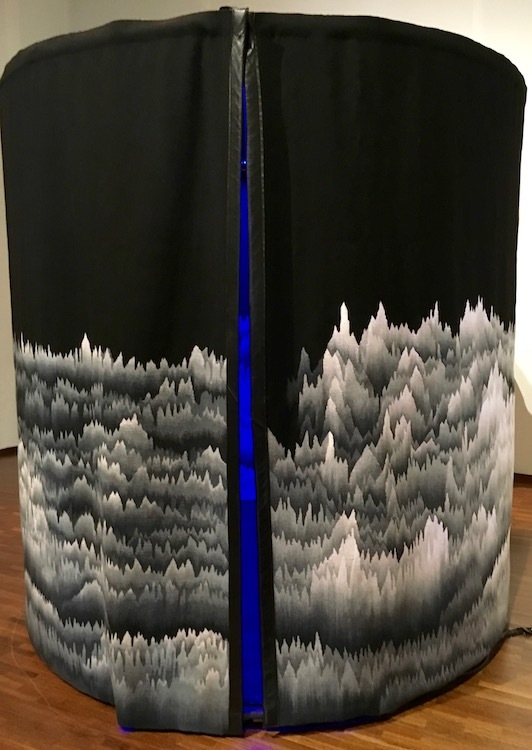 This would be an excellent way to allow a large number of pieces by various artists to be seen in most exhibition spaces as well as allow for ease of transportation and reasonable cost of shipping. In our previous retreats at Casa de Tejedoras in El Tuito, Jalisco, Mexico we worked small on student tapestry looms provided. We were limited in our time and we could work through more ideas quickly. 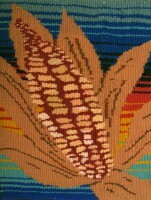 We became completely immersed in the subject of corn and the varied individual approaches to its interpretation. The decided dimensions for each tapestry would be no larger than 12” by 12”. Historically, a great many tapestries in Europe were woven mural size. They were often hung to keep the castle walls covered, providing warmth to barren, cold walls but also acted as a visual record of historical time and place. In contrast to this size, we also note the miniature tapestries that were woven particularly in Coptic and Andean cultures. 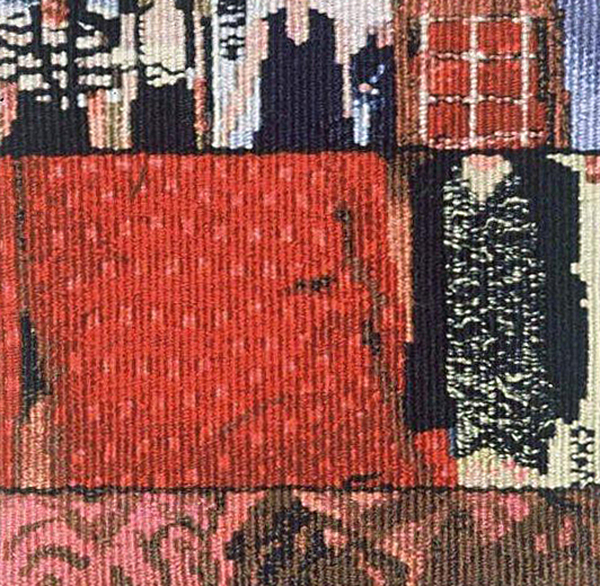 Unnoticeable at first glance there is a correlation between the large format in which the audience is overwhelmed by the tapestry and the small tapestry which invites the viewer in. The small format demands close inspection. Both the weaver and the viewer are drawn close to the work through details such as size, relationship of warp to weft, colour values, and the importance of each tapestry mark. Because of the relative small size of the pieces they can only be viewed by one person at a time. 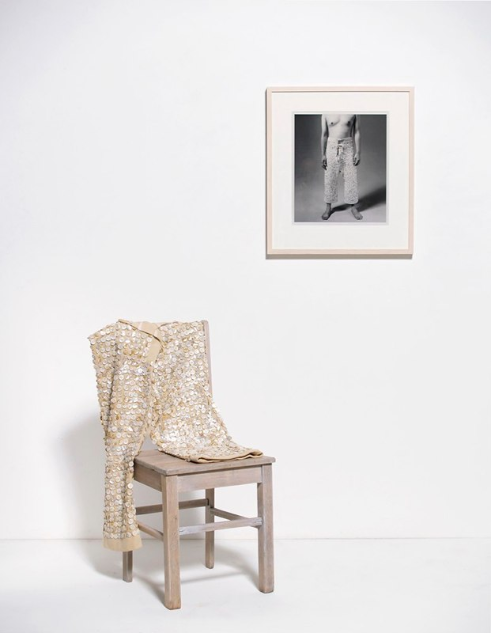 A personal and intimate dialogue develops between the viewer and the maker which includes a visual component. 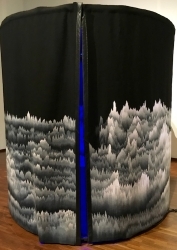 The viewer then connects to the image using his/her own life experiences and feels a rekindling of a relationship to the piece. Placing limitations on size can lead to greater creativity for the artist. Limits are in the perception of the mind and not necessarily in the format. The weaver pays attention to the scale and examines sett, yarns, colours, techniques, and design elements in a new way. How can one take a large idea and re-present it in miniature with its essence intact? Every design decision becomes influenced by the size. Materials must shrink in size and be finer and in harmony with the scale. 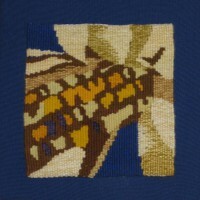 Weaving techniques are modifed—soumak, hatching, colour blending, and demi-duite need to be viewed differently in small scale. There can be no wasted space. The techniques must be executed precisely as each thread counts. 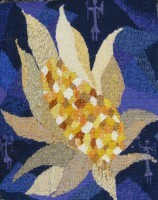 Presentation is challenged as the small format tapestry exerts its integrity as a work of art. It cannot get lost on the wall. 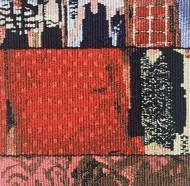 It is true that when small format tapestry is viewed, more often than not, a discussion evolves regarding all of these aspects of weaving small, but thinking big.